"Headquartered in the heart of Los Angeles’ business district, American Supply Company is one of the leading packaging distributors in United States. We are centrally located within the industrial area of Los Angeles in order to provide the most efficient service to our local customers. At American Supply Company, we believe in building relationships with our customers and our business partners. Customer service is our number one concern and our employees are guided by the basic principles of customer satisfaction. We understand that service is never an accident. It is the result of high intentions, sincere effort, intelligent direction, and skillful execution. Our domestic economy and local communities are very important to us. That is why we have partnered up with the leading US manufacturers in each industry we service. With their support, we have partnered up to compete against imports in order to maintain jobs here in the United States. American Supply Company is a licensed distributor for packaging products from almost every major US retailer. We understand that time and space are valuable resources for our customers. As a result, we have structured our business to maintain large levels of inventory in order to provide them delivery within a few hours from the time an order is placed. 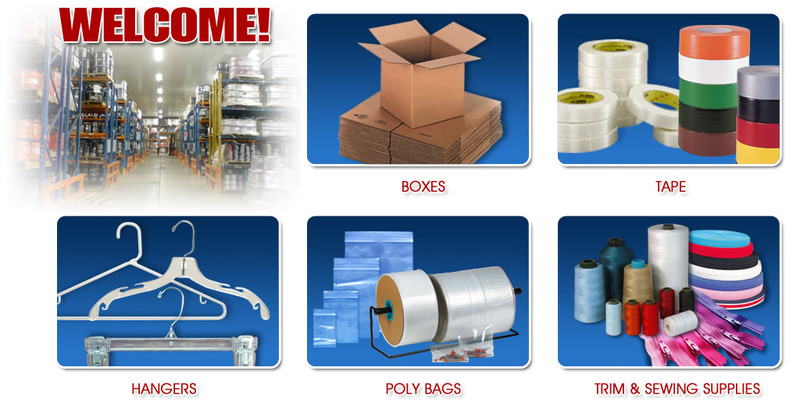 We carry one of the largest varieties of boxes, plastic bags, tape, hangers, and other packaging supplies. For a full line of our products, please visit our site and search the categories most useful to your needs.